I was recently invited to a Bridal Shower and offered to bring something along to add to the menu as this was a great friend - like family to me. She is a vegetarian who also eats gluten and dairy free. One thing the host did was send me links to some of the future bride's recipe postings her Pinterest as suggestions. What a great idea as it would be a chance for her to try some that had caught her eye. After perusing several, I decided I wanted to do rice paper salad rolls as I have always loved them and had made my own version before. Two were mentioned and I decided to bring some of each. The first was a more traditional Vietnamese-sytle Salad Roll with homemade Peanut sauce. As I had made them before, I was interested in this recipes homemade peanut sauce in particular. While the rolls turned out as great, they were nothing outside the norm and the peanut sauce was a bit too salty and thick for my tastes. I served them with a store bought peanut sauce instead. The second recipe, however, was really unusual. I couldn't wait to try it. 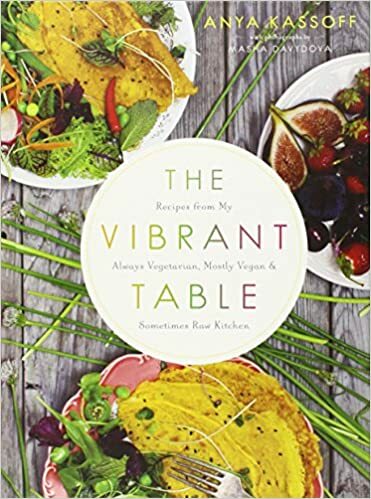 While the recipe was posted on a blog called Katie At The Kitchen Door, in the article the author was clear it came from a cookbook called The Vibrant Table: Recipes from My Always Vegetarian, Mostly Vegan, and Sometimes Raw Kitchen by Anya Kassoff of Golubka Kitchen. I may have to snag a copy as these were divine. These summer rolls offer a unique, fresh mix of tastes including peaches, avocado, spinach, pistachios, basil and mint. The flavour of the dipping sauce is anchored by Tamarind - an unusual taste that is hard to find a substitute for. My problem was I couldn't find the required Tamarind Paste. All I could find was a Classics Tamarind Chili Sauce by Western Family at Sav-on Foods. I adjusted the dip by taste to get the flavour I thought best. I also left out the hazelnut oil from the original recipe as I didn't see it at the store either and in the end, they were great without. Below I have offered the recipe as originally posted - minus the hazelnut oil - as well as what I did to create a dipping sauce using the the chili sauce I found. If you want to try the original with the Hazelnut oil, click HERE. 1 tsp Soy Sauce or Gluten Free Soy Sauce. I always feel a food processor or Magic Bullet is best for these kinds of sauces. Add ingredients and pulse until it is the consistency you like. It can be done with a wire whisk if you prefer, but the ginger won't get incorporated as completely. Taste, and adjust to your personal preference. Place the avocado slices in a shallow dish and squeeze the lime juice over them. Lay out the chopped pistachios, the baby spinach, the basil, the mint, the avocado and the peach slices on a plate (or two). Fill a large bowl with slightly warm water. Soak the rice paper wrappers in the warm water one at a time, submerging each wrapper evenly and soaking briefly. They continue to soften, so be cautious. As you remove each wrapper from the water, fill it immediately: place 1-2 peach slices in the middle, top with 2-3 avocado slices, a handful of spinach leaves, a few basil or mint leaves, and a small spoonful of pistachios. Don’t overfill the wrapper, as it will be difficult to roll. To roll it, fold the ends of the wrapper up over the filling, then roll to close. Repeat until all your filling is used. Serve immediately with the dipping sauce.